Top page > List of companies > Pam Co., Ltd. The reason regarding our company title “pam” is indeed the reverse of the word “map”. We want to set a new value that “travel” does not always have to be going to a distance place. We start with the vision of “localism”. To dig further for the abundance of local information, and to rediscover the charm of a local place.<br>We want to provide the best experiences for travelers. We want to be the local partners with travelers and show them places and things only the locals know the best.<br>We are like “Concierge” to recommend high quality of hotel places and transportation as well as activities to people. WE are like “ tourism organization” to discover new travel destinations and to boost up the tourism market of local places. Our ultimate goal is to provide a more exciting travel experience to people. It is a tour booking site with the purpose of spreading the charms of locals all around Japan. Users could read about abundance of tourism information, book for package tour, bus tour, hotels, car rental service, activities etc. The website was launched in April 2013. It is a foreign tourists approach tour information site launched in May 2015. The articles are translated into Chinese (Traditional), English, Korean to approach to different nationalities. “Tabicatalog” has two different versions: gourmet version and leisure version. Gourmet version is mainly about the restaurants in Okinawa. The areas where those restaurants are, the meals they provide and all other information regarding those restaurants. Leisure version categorized various leisure plans into different genres. Also, it comes with useful coupons. We give out “Tabirai” to customers who book their trips on our website. The magazine also can be found in Naha Airport and stations of the monorail system for free. The number of publication is about 10,0000 (published 3 times a year). April 2000: Establishment of the company <br>November 2000: Started the rental service of Okinawa tourism information PDA device “Tabisuke”<br>April 2002: The publish of Okinawa free tourism paper “TABINCHU”（TABI Catalog）<br> January 2003: The launch of Okinawa specific tour booking site “Okinawa Tour Land” <br>November 2004: The launch of Hokkaido specific tour booking site “Hokkaido Tour Land”<br>April 2006: Received Okinawa Governor Registered Tourism Number 3-258 <br>April 2006: Started the hotel booking service on Okinawa Tour Land. 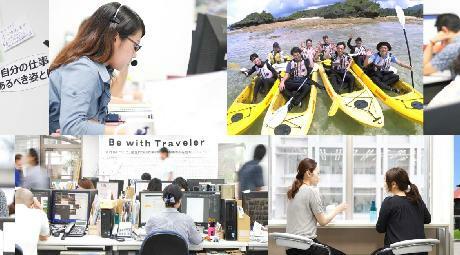 <br>April 2006年：Started the car rental service on Okinawa Tour Land. 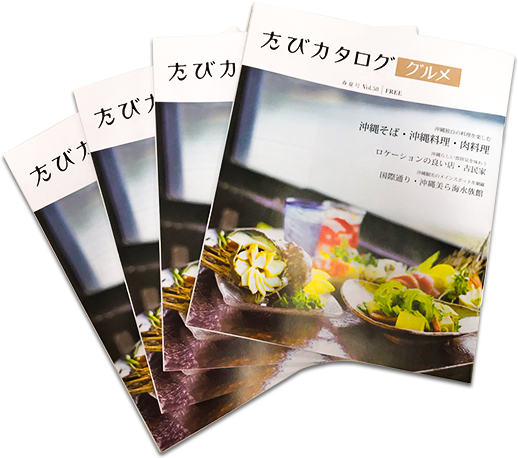 <br>October 2006： Publish the Okinawa gourmet, izakaya information magazine “Chura Gurume” <br>January 2007： Launch of activity booking service on Okinawa Tour Land. 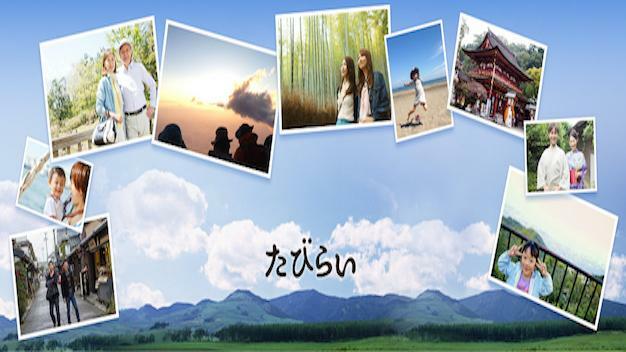 <br>March 2008：The launch of Kyushu specific tourism booking site “Kyushu Tour Land”. <br>March 2009：The launch of going out support site dedicated to Okinawa locals “Chura Toku” <br>February 2011：Okinawa currency project, Okinawa voucher tourism service started. <br>April 2013：The launch of tour booking site “Tabirai” for spreading the charms of Japan.<br>April 2014：The launch of bus tour booking site “Tabirai Bus Tour”.<br>February 2015：Integration of the names “tour land” and “Tabirai”. <br>April 2015：Taking over the business from “Onsen paradise Kyushu” and started the running of the business. <br>May 2015：The launch of “Tabirai Japan” site dedicated to foreign travelers. 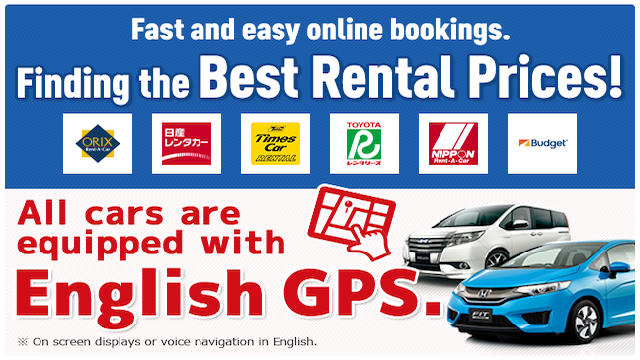 <br>September 2015：Tabirai Japan car rental service English version started. <br>December 2015：“Onsen paradise Kagoshima” opened <br>February 2016： “Tabirai car rental” application released.